For sheer excitement and abundance of opportunity it’s easy to see why many people embrace the opportunity to move to America. 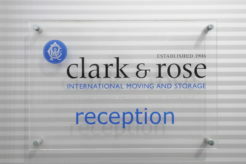 Whether you are relocating to any of the legendary coastal cities or any of the 3.8 million square miles in between Clark & Rose can move you there. With a huge range of experience gained over many years of shipping clients’ belongings we have a depth of knowledge and network of US agents that will help ensure things go smoothly. 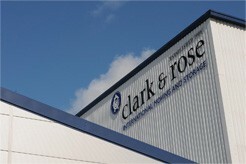 Clark & Rose can offer a full range of shipping services to USA to help make your move as easy as possible. We’d be delighted to speak to you about your move so contact us now for a free estimate either by calling on 0845 230 1906*, if you prefer to speak to someone directly, or by clicking on the get in touch or get a quote links. * Calls cost 7p per minute plus your telephone company’s network access charge. Please note that any transit times are purely indicative. Actual door to door transit times may be shorter or longer if subject to factors beyond our control. If you are moving to America, or a returning resident in most cases you will be entitled to duty free entry on used personal effects. Homeland Security has tightened the regulations on importing personal effects into the United States, and these regulations are under constant review. If you are a non-US passport holder you must ensure that you have a suitable visa in place before the shipment can be sent you must also be in the country when you consignment arrives. 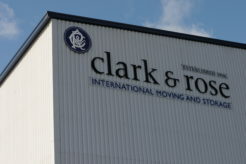 All U.S. Customs paperwork will be supplied by Clark and Rose for your completion. Although security has increase significantly in the majority of people and shipments of household goods moving to the United States are not materially affected. As with any destination careful planning is required and certain items may be problematic to ship or carry restrictions – if you have any questions at all on this or are looking for advice we’d be very happy to help. Importing a motor vehicle including motor cycles into the United States is only really recommended if it meets US emission and safety standards or was previously exported from the US. Vehicles of 25 years or more are exempt from both the environmental and transportation standards agencies. However proof of age, proof of ownership, and copy of foreign registration are required. If you’d like to receive more information on a specific destination please let us know by filling in the form below and one of our overseas team will contact you to assist.